When the Fulfillment Management Association invited me to make a presentation about video content marketing at their annual conference in New York, I hesitated because of the time away from my office. But they came up with a great solution: why not record a video for it to be played at the conference. It would be self-exemplifying and to the point. At the bottom of this post is a video where I share three reasons why I believe video increased sales by 20 percent in a recent campaign. Video marketing can be very effective to build awareness, authenticity and credibility for your organization. It can inform both prospects and current subscribers or customers. Video plants a strong foundation for content delivery. It supports marketing efforts by nurturing ongoing interest, and drives sales revenue when properly used and leveraged. Your prospect internalizing their need and seeking out information. Giving your prospect information about your publishing product through video presentation. Your prospect can evaluate your publishing product by watching a video and in effect samples your content. You motivate prospects to purchase or subscribe with a compelling video message. And through the ability to create social signals, your subscribers and customers share your video and become your advocates. Of course, as publishers you may be more sensitive than most marketers about the fine line between giving away content to attract an audience, and monetizing the content you create. As a content marketing tool where you freely give your information away, video is an excellent way to build credibility and trust in the information you publish. By creating videos with open content, your audience gets to know you and is mentally receptive when you’re ready to ask for the order. And what better way to expose a newly created product, or the extension of an existing product, than with video. With each passing season, consumers are watching more and more online video. Some of your customers likely prefer to watch a video than read an article. We’re finding in some niche markets that consumers comprehend information and data much better when delivered with video. It’s the images and graphics on the screen, keywords to emphasize points, engaging voice-over, all tightly edited to deliver and reinforce a visual and audio experience. Together, these techniques can retain an individual longer than when reading text. Some people become easily distracted by handheld electronic devices, for example, leading to disinterest or their mind simply goes adrift. But let’s go deeper into my analysis of three reasons why video works so well. These are reasons that I thought deeply about a few months ago upon reflecting on a direct response campaign we developed that yielded a 20 percent sales increase and transformed the outcome of the campaign. In this instance video was a central delivery vehicle that enabled email marketing and social media to be more impactful. 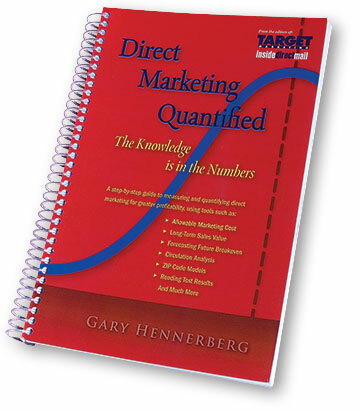 Making three pivots within your marketing approach could take you to a new and higher level of direct marketing performance. The first key concept is within the word “purpose.” In recent years, whether it was a reaction to the economy, or technology, your customers and prospects have changed. People have become skeptical of every marketing pitch. As marketers, we’ve created a marketing and sales culture of distrust and turn-off through blatant and relentless interruption. Consumer’s reactions are to instinctively click away or throw it in the waste basket unopened. Your marketing outreach needs purpose and relevance. With the use of video, you have purpose every time you reach out to connect with your installed base of subscribers, customers or followers. Your video can tell a continuing story, with chapters unfolding with each new video. It can be educational. It can give away information that elevates your customer or prospect’s opinion of you. It can answer frequently asked questions. It can address real-time news related to your brand. It can be practical and even repurpose existing content you’ve previously developed … just don’t format it like a typical, interruptive 30- or 60-second TV advertisement. Make it a great story, tightly told and edited, and you will have transformed your message so it engages your audience, and conditions them to say “yes” at your call to action. The second reason to use video is that it invites frequency of contact. Listen to a sales representative from radio or television broadcast media and what they’ll tell you is that you need frequency for your broadcast ad campaign to be successful. Those of us who have been in direct marketing for some time probably look at the frequency pitch just an excuse for radio and TV folks to sell more time and run up your cost. As direct marketers, we believe that if we mail an offer once we’ll get most of the response in that first effort. Often in direct marketing, a second follow-up direct mail effort yields only a third to maybe two-thirds of the response from the first mailing. Rarely does a second mailing produce more than the first mailing, so frequency to a direct marketer doesn’t often make sense. So as direct marketers, we’re not always sold on this frequency pitch. But the online space is different. When your message has purpose with a story woven through the use of video, it generates a reason for your touch points to become more frequent. With purpose and frequency, your email will be opened and can motivate a click-through to a landing page with your video. Having video gives purpose for social media to go beyond being consumed, but to be shared with friends so they become advocates for your organization. With the cost of email and social media relatively low, it means that you can maximize the power of your installed base of subscribers, customers or followers. And if you don’t yet have a large number of customers or followers, you can build that list faster with video. The last key concept is a paradigm shift for those of us who are classically trained direct marketers. Over the years, we’ve always known that an offer of “free with purchase,” would increase response. Today we challenge you to shift “free with purchase,” to simply “free.” Give something away. Once again, video is an ideal format because content can be freely given. Giving away content enables a prospective customer to build trust in you. Videos can tell the behind-the-scenes story or you can interview real customers telling their stories. In summary, with video you offer purpose to email, social media and other vehicles. You will have permission from your installed base of customers and followers to contact them frequently. When you give away something of value, you build trust and allow prospects to be more confident in their decision to purchase. And when you combine purpose, frequency and free, it can transform and turnaround marketing approaches.